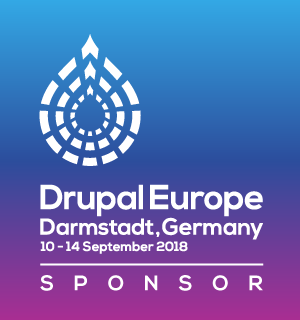 The main European Drupal conference - Drupal Europe - is centered around multiple industry verticals and our team is excited to be part of it! 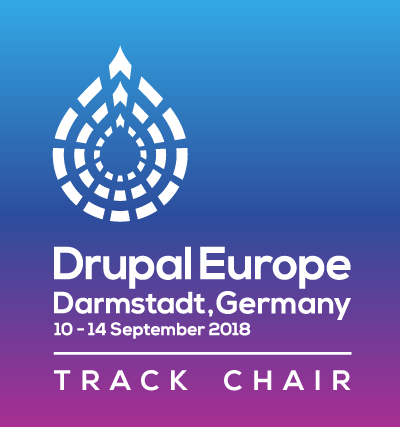 As track chair for Drupal + Technologoy I've helped shape the program and I'm looking forward to many great presentations and discussions. And besides lots of great sessions and BoFs, there will be the Open Web Lounge - a place for cross-community collaboration in the open-source ecosystem with participants such as CMS Garden, Open Source Initiative, Wordpress, Joomla, Contenido, and TYPO3. The conference will kick off with the European Splash Awards which honor the best Drupal projects of the year. Winners from national competitions are then allowed to compete in the international award contest. We'll take part with our project das-haus - which already won the German Splash Award 2018 in the publishing & media category ("Verlage/Medien"). 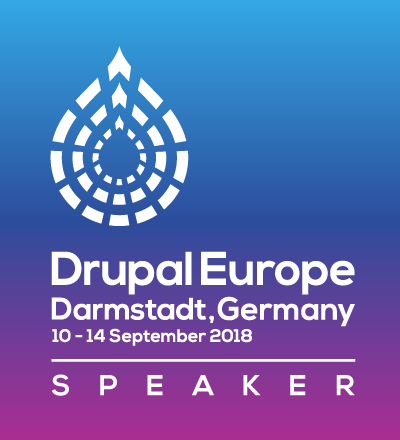 Together with my colleagues Jeremy and Arthur we'll be looking for the latest updates of the Drupal community and participate in exciting discussions. Besides that, we've got the pleasure to share our knowledge in two sessions at the Publishing+Media track. I'll explain our techniques of building high-performane Thunder sites and together with Oliver Berndt I'll talk about the Contentpool distribution: A joint development with the Austrian Wirtschaftsverlag to centrally edit distributed content. Birds of a Feather sessions (or BoFs) are informal gatherings of like-minded individuals who wish to discuss a certain topic without a pre-planned agenda. They are a great opportunity to exchange knowledge and collaboratively work on topics. Together with Josef Dabernig from Amazee Labs Zurich we'll make use of the BoF format to discuss the future of the Rules modules and #d8rules initiative. Finally, there can be no Drupal event without contribution sprints. We decided to support the event as contribution sprint sponsor and will join the sprints to help make Drupal better! CU in Darmstadt!